We are almost half way through Waste Reduction Week, and for today’s green goal we joined the Ease My Load Campaign! 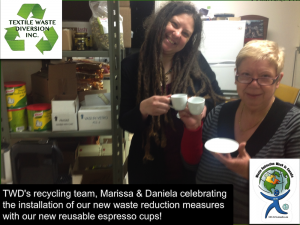 Through our audit we learned that the majority of our head office waste was paper, aluminum cans and plastic espresso cups/stir sticks. We were proud to see that most of our staff already used reusable water bottles. We did well in that much of our paper inventory contained a good percentage of recycled materials. The other thing we did well on was having recycling bins available for staff. 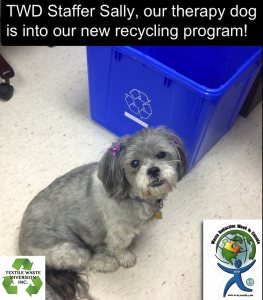 We did see, however, that the placement of our recycling containers wasn’t optimal, so we followed Waste Reduction Week Business Guidelines by the placing recycling containers next to trash cans, to make it easier and more convenient for our staff to recycle. We also bought more recycling containers for our lunch room and not only placed them by the trash can, but also placed them near our coffee machine and near a spot staff like to hang around enjoying a canned/bottled beverage. We also placed one beside the computer printer. 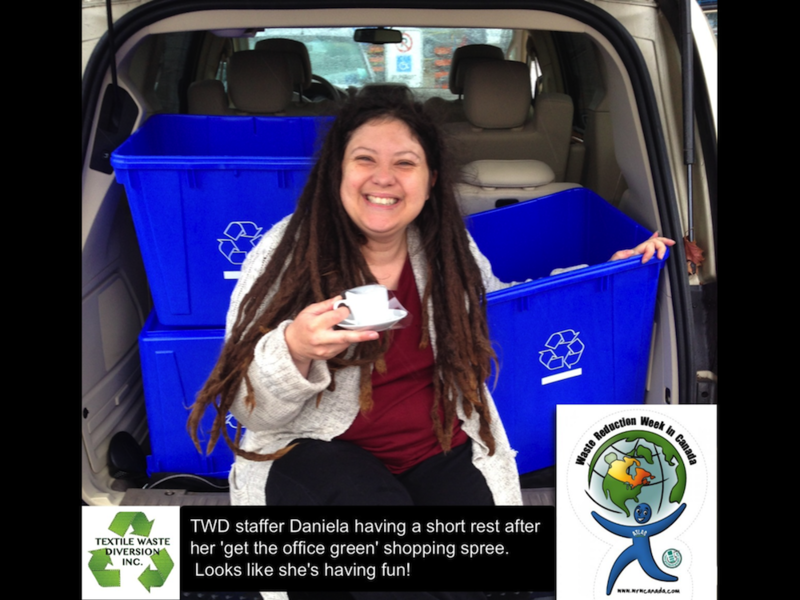 At TWD headquarters, our staff enjoy a good espresso, and to decrease the amount of plastic cups/stir sticks used, we bought our staff a nice set of espresso cups and spoons. We even placed a dish rack and eco friendly dish soap by our lunchroom sink to make washing the dishes quick and easy. 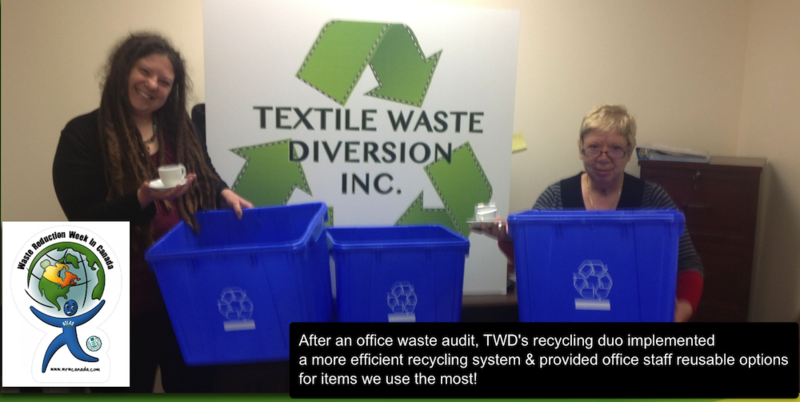 Small changes can go a long way to help increase our waste diversion rate. It takes all of us!